A 1950s Discovery Holds Promise to End Drought and Green Deserts in Israel, Australia, the Horn of Africa, the USA, and Elsewhere. An independent scientist and former university professor from Oregon, among others, has in over 25 years of field research, verified the method originally developed by the controversial Wilhelm Reich, called "Cloudbusting". Positive results have been observed in field experiments undertaken in the USA and overseas, over many years. An Environmental Scientist working at a private Institute in rural Oregon claims to have a solution to the ancient plagues of drought and famine. Dr. James DeMeo, formerly a geography professor at Illinois State University and the University of Miami, and currently Director of the Orgone Biophysical Research Laboratory, has been undertaking field experiments and a detailed study of the controversial Reich cloudbuster. "I read about Dr. Wilhelm Reich’s discoveries when I was a teenager studying at Florida International University, in the early 1970s." DeMeo said, "That was the time of the last big famine disaster in the Horn of Africa, and newspapers and television were full of horrible images of parched landscapes, starving children and dead animals. I was studying methods for combating drought and desertification or desert spreading, and basically learning that very little could be done by using orthodox approaches. That’s when I decided to make a more in-depth study of Reich’s cloudbuster device." "While the cloudbuster makes little sense from the standpoint of classical meteorology, in fact both Reich and several other scientists had published fairly convincing reports of their field experiments since the 1950s. I read those reports, and found them nothing less than amazing. Over subsequent years, I met and trained with two of the scientists who had closely followed Reich’s approach, Mr. Robert Morris and Dr. Richard Blasband, and undertook a variety of laboratory experiments to become familiar with his overall discovery. I observed the experiments of others, using large cloudbuster devices, and could hardly believe my eyes at the way the atmosphere responded. When I was a graduate student at the University of Kansas, I finally was able to make my first cautious steps and systematic research into the question." DeMeo’s subsequent 1979 study on the cloudbuster at the University of Kansas Geography-Meteorology Department, was a milestone in that he was the first to openly research Wilhelm Reich’s biophysical work within a mainstream university, and it provided positive results confirming Reich’s claims. "I studied the influence of the device upon the dynamics of cumulus clouds, making photographs which were then digitized and graphed on a computer, and also 12 different experiments to increase rains. The study area was the entire state of Kansas, given that Reich observed very widespread influences from the cloudbuster. The device was operated for only a few hours on the test days, and produced dramatic increases in the percentage of cloud cover and measured precipitation over the entire state, starting usually within an hour or two after the onset of operations." "The old ’ether-theory’ of physics was never disproven, but it fell out of favor around the same time Reich discovered the atmospheric orgone continuum. Reich’s arguments thereafter were received with skepticism as there were no parallel concepts in modern physics. However, the old ’ether-theory’ is making a come-back, and possibly that situation will change as well. For now, I simply make note that Reich’s discovery was never factually refuted by replication of his experiments with negative results -- in fact, I was the first academic scientist to actually attempt such experiments, and got positive results. Reich was attacked by his critics purely for theoretical disagreements -- they could not believe it was possible, and so never bothered to attempt the experiments. This was exactly what Galileo’s critics did, when they refused to ’look into the telescope’ to confirm his observations. With Reich, however, there has been a long line of scientists and naturalists outside the universities who have confirmed his findings -- I was simply the first university academic to do so, and so I owe a big debt to both Reich and also the others who kept his work alive over these many years." Unlike the better-known method of "cloud-seeding" where chemical stimulants are dispersed into the atmosphere to affect a small region, cloudbusting uses no chemicals whatsoever, and has both long-distance and persisting effects. It functions by excitation and triggering motion within the large energy continuum surrounding the Earth, and in which localized energy potentials are observed to create clouds and weather fronts. "We don’t try to ’milk’ one or another cloud for rains, like the cloud-seeders do, but rather undertake to restore natural energetic pulsation, which as Reich discovered is a fundament for good cloud growth and development. In this sense, cloudbusting takes more of its theoretical background from the biological sciences than from mainstream physics, which only speaks of a dead atmosphere and ’empty space’. From the Reichian perspective, we view the atmosphere, Earth, and cosmos as being filled with a living pulsatory energy, somewhat in keeping with the ’living Earth / Gaia Hypothesis’ of Lovelock, except that Reich’s orgone is an objectively demonstrable energy, and not merely a theoretical speculation. Reich described the healthy atmosphere as characterized by cycles of rain-dry-rain-dry, which were caused by natural energetic pulsation and self-regulatory properties of the orgone energy itself. Hard deserts and drought regions had lost this pulsatory capacity, as Reich described it, becoming energetically stagnant and immobilized. With the cloudbuster we have a means to re-invigorate and mobilize the atmospheric energy, and thereby restore energetic pulsation. Once this is done, like restoring a heart-beat to someone whose heart has stopped, natural rainfall cycles resume and we put away our equipment and do no additional work. It is only used for brief periods." In this context, DeMeo explained, the cloudbusting method is like a form of atmospheric acupuncture, where the "acupuncture needle" or "cloudbuster" is used for brief periods to stimulate and restore a flow or movement of energy, after which the "symptoms" of atmospheric blocking and "illness" -- drought -- is eliminated. DeMeo noted that, with both acupuncture and cloudbusting, classical science has a hard time to understand them, as the background energy of Chinese medicine and of cloudbusting, is not generally known or accepted by those who haven’t studied them. "Nevertheless" DeMeo said, "they both work." Figure 1: Results of 12 Cloudbusting Operations in Kansas. and three days after operations. with a secondary peak two days later. Cloud cover remains higher during the days after operations as compared to before. Thesis, University of Kansas, Geography-Meteorology Department, Lawrence, 1979. "After my work at the University of Kansas, I had the opportunity to test out the cloudbuster in several severe drought regions in the USA, all of which produced positive results. In 1986, a severe drought of historical proportions affected the Southeastern states. I led a team of four scientists using two cloudbusters into that region, and within a week, heavy saturating rains were falling all over the region. A newspaper in Athens, Georgia reported on our work, and I wrote a paper which was published by the South Carolina Climatology Office, in a special Proceedings on that drought situation. But hardly anyone noticed our work. In 1988, with help from my assistant Theirrie Cook, I undertook work which restored rains to much of the Midwest during a terrible drought, but the most spectacular consequence was a ’surprise snowstorm’ which hit Yellowstone Park shortly after we had worked in areas just to the west of that location. Those snowstorms made the international news, but again, only a few persons took note of our work, which has always been undertaken on a non-profit basis, without efforts to commercialize it, or to seek media attention. In 1991, I directed a team of workers using several different cloudbusters, which produced the California ’Miracle March’ rains. These were widely celebrated in all the newspapers, but we simply did not have time to go seeking out newspaper reporters. I could give other examples of projects undertaken in the USA to end drought, but these should be sufficient for the moment. I do emphasize, however, that all these operations were fully documented with film and videocamera, with many witnesses, and published articles documenting the increased rains and beneficial results with analyses using National Weather Service data." Figure 2: Cloudbusting operation in mid-September 1988 during an intensive drought affecting the Pacific Northwest USA. bringing exceptionally good rains and extinguishing the fires which had devastated Yellowstone Park. from 150 different National Weather Service rain stations. with a second rainfall pulsation about a week thereafter. and continued for several months thereafter. Journal of Orgonomy, 23(1):97-125, 1989. DeMeo’s most systematically-designed cloudbusting operation in the USA was undertaken in Arizona in 1989, to test out the observations of Wilhelm Reich that the cloudbuster could be used for more than just drought-abatement, but actually had a desert-greening capability. Reich used his cloudbusters in the dryland area near Tucson in 1954, observing increases in atmospheric humidity, dew and rains, with the development of prairie grasses on formerly barren areas where older residents had no prior memory of grasses. Those observations of Reich, published shortly after his death in 1957, always fascinated DeMeo. "This was the most dramatic claim of Reich, that the cloudbuster could bring streams of energy and moisture off the ocean and deep into the heart of desert regions, to prevent their spreading and to even green them up somewhat. The implications are, of course, enormous. In 1989, I had the opportunity to evaluate this claim, and in fact verified that Reich was on solid ground. With help from volunteers, I undertook five cloudbusting operations on pre-selected dates over a period of five months. I sent telegrams to National Oceanographic and Atmospheric Administration offices in Washington to document them, and made extensive video and photographic documentation as well. A German film-crew actually came along and made a documentary on the first expedition. We drove one of our large cloudbusters into the desert region along the Colorado River, near Blythe, California, worked the device for a few days, and then returned to home base in the San Francisco Bay area. This was done five times on the pre-selected days, and we subsequently evaluated the effects of those operations by reviewing official weather records from over 400 National Weather Service rain-gathering stations. Those official weather data showed that our operations had created a ’rainfall doubling’ effect -- that is, rains during a 15-day period after our operations was twice what was observed for an identical 15-day period ’before’ operations. This result was similar to what we had observed and documented for the various drought-abatement experiments, but it was both remarkable and satisfying to see that it would also work in harsh dryland regions as well." averaged together, for 15 days before and 15 days after operations. with a total of 424 National Weather Service rain stations. starting one day after the onset of operations and lasting for a full week thereafter. Pulse of the Planet, 3:82-92, 1991.
during the OROP Arizona 1989 project. Reich observed a working cloudbuster could also have negative biological effects upon the operator, and DeMeo has confirmed this personally. "Reich noted certain symptoms of ’overcharge’ and other problems which were at the very least a nuisance to this work. At worst, they could be life-threatening. Several persons using cloudbusters have been made severely ill to the point they could no longer do it. I take all kinds of precautions, including use of electrical motors and a remote control so I can stand off by 100 feet and not get close to the device when it is working. We don’t know what the long-term health effects are of this device upon the operator, and it might be similar to what the early experimenters in atomic energy suffered through." DeMeo was also invited to work overseas. In 1991-1992, with support from a private foundation and the Israeli government, he and Theirrie Cook went into Israel at the time of a 3-year drought which had reduced all that nation’s water reservoirs to historically low levels. "The meteorologists and hydrological experts were told by their superiors to assist our project, and we were given carte-blanche access to any part of the nation where we felt the cloudbuster should be applied. Our contacts cleared the way with the large water authority, Mekroth, and with the military, so that they would not become alarmed at the sight of several Americans driving around with such a large and strange-looking device, which might otherwise be confused with a Katusha rocket-launcher." 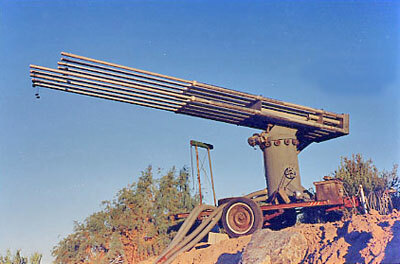 DeMeo referred to the appearance of the cloudbuster’s long tubes, which as mounted on a trailer might be confused with a military-type of weapon. "We worked from the northern part of Israel near the Golan Heights, down to the southern part, near the Red Sea port city of Eilat, over a 10-day period. Immediately afterward, storm fronts began to move inland off the Mediterranean Sea, with a vigor not seen over the prior years. Heavy saturating rains, well above normal levels, fell thereafter over all of Israel and many neighboring nations. And the rains continued in a pulsatory cyclical manner, over the following months of their rainy season, without any need for additional cloudbusting. The Sea of Galilee, or Lake Kinneret as the Israelis call it, went from historical low levels to historical high overflowing levels, with a lot of water flowing over the Deganya Dam into the Dead Sea. Rains fell everywhere, even in the Negev Desert, and snow blanketed Jerusalem and the Golan Heights. It was incredible. I have newspaper articles showing Jewish and Arab kids having snowball fights, and laughing, having a fun time. Snow also piled up on Mount Hermon and the Golan Heights, which looked like Switzerland instead of the dry Middle East, and snow fell for the first time in memory on the mountains surrounding Eilat in the south. New lakes formed out in the middle of the desert. The Negev was quickly covered with wildflowers, the likes of which nobody had remembered, and tour busses began taking long-time Israeli residents out to see them, because nobody had ever seen such a thing. I also got stories of some old dead peach trees in the middle of the Syrian desert, where the tree orchard had been abandoned years earlier due to lack of irrigation water, suddenly coming back to life and growing big plump peaches! One can hardly imagine such things today, but I saw much of this transformation with my own eyes, as did all the people of the region. There were some complications to ordinary life for awhile, but in fact the death rates due to highway accidents actually declined because people were driving slower, and farm yields also increased by the end of that year, in spite of many water-logged fields, because the subsoils were recharged with moisture, and accumulated salts washed out. " triggers the onset of an exceptionally rainy period in Israel and the eastern Mediterranean. without additional effort, by nature alone, to yield one of Israel’s largest rainfalls on record. Drought had afflicted the region for the previous three years. Pulse of the Planet 4:92-98, 1993.
showing the percentage of normal rainfall during the period immediately after cloudbusting operations in Israel. The highest percentage of rains, at 400 percent of normal, fell over Israel. for this same late-November early-December period. Asked why, if such a positive and dramatic result occurred, has not cloudbusting been accepted, DeMeo turned serious again. "Our work was opposed from the start by some of the same people who opposed Reich in the 1950s, who worked so hard to have his books burned and Reich imprisoned. They have no shame about what they did then, but are good at disguising themselves as ’rational skeptics’, which they most certainly are not. The nasty rumors they circulated about Reich, they now also circulate about me. In addition, there is petty professional jealousies often at work, where scientists working inside a big institution may become very anxious against any outsider who offers something new and unusual which challenges both their bibliography and possibly their funding as well. It is easier for them to simply dismiss the entire matter as nonsense, than to carefully take their time and review the matter seriously. Specifically in Israel, the meteorologists and hydrologists initially were interested, but eventually they became vocal opponents after the unforecast rains started to fall. They could not believe it, because it was totally outside of the weather forecasts, and because they could not accept Reich’s theory. Basically, they felt threatened. Eventually, one of them came up with the idea that all the rains were the result of the eruption of ’Mt. Pinotubo’ in the Philippines. That eruption had taken place many months before our work, on the other side of the world, but that idea was a lot easier for them to accept than the implication that all the textbooks were dramatically incomplete, and that Wilhelm Reich’s ’crazy’ ideas were correct. They used the Mt. Pinotubo idea as an excuse to block any further support for our project, which we believe could green the deserts of the entire region. We have always had some people who supported our work, and for whom the theoretical questions were not so important. Others have become highly emotional about Reich’s orgone theory. We don’t push Reich’s ideas at people, but neither do we feel it is appropriate or ethical to somehow hide Reich’s foundational role in all of this." DeMeo laughed when recounting one of his encounters with a "skeptic". "In 1992-1993, a project was initiated with considerable help from Dr. Manfred Metz and Prof. Dr. Bernd Senf in Germany, to undertake drought-abatement work in the nation of Namibia in southern Africa. Namibia was then suffering from a very hard drought of 3-years’s duration, but also with a longer trend towards increased dryness starting some 12 years earlier. We constructed a new cloudbuster in Namibia and, with help from their hydrological and agricultural ministry, undertook the necessary work, and brought forth some excellent rains which ended their drought, and also ended drought conditions across the whole of southern Africa. At the end of our work, shortly before flying home, we visited the Namibian Meteorological Service, and met the man who headed that department. He was an old Afrikaner, and a religious fundamentalist we were informed, who had opposed cloud-seeding methods as well anything which had the appearance of modernity. After entering the room, I had hardly introduced myself when he literally shouted at me: ’Only God can make it rain, so GET THE HELL OUT OF MY OFFICE!’ After that, it was pretty sure we would get no further support in Namibia." "Some of the skepticism, I can understand" DeMeo said, recounting stories of several misguided individuals who had only limited knowledge of Reich’s discovery. "There are all sorts of people building devices which they are calling ’cloudbusters’ but which in reality have only a superficial resemblance to Reich’s original discovery. They haven’t read his original publications, and mix up Reich’s good science with a lot of funny things and fairy-tales, and if you hear about Reich from them, you would naturally be very skeptical." DeMeo compares them to people strapping boards to their arms and jumping off the barn roof, claiming they could fly. "I admire their enthusiasm, but get frustrated when I learn that a scientist or politician has generated a negative view of Reich, or cloudbusting, based upon such nonsense. We have a group called the ’CORE Network USA’ which tries to apply this discovery in a rational and scientific manner, keeping the record straight and offering training to serious individuals." "The invitation came from Dr. Aurelio Albini and Carlo Albini, who are part-Eritrean. They had good personal contacts with one of the head meteorologists in Eritrea, as well as with the Research Division of their Ministry of Agriculture. Together with their help, and with assistance once again from Theirrie Cook and Bernd Senf, we organized and carried forward the project over a 5-year period. We had good rains every year we worked, and the Eritrean government provided systematically-gathered rainfall data from across the nation, as well as access to satellite images, a truck and driver, and for other expenses. Once again, we witnessed a most incredible results, year after year. We knew from the work in Arizona that a ’rainfall doubling’ effect was possible, but the Arizona desert is not anywhere near as dry or harsh as the Sahara Desert, which covers the northern part of Eritrea. The work in Israel did show a strong development of rains, but Israel’s drought was only 3 years duration. In Eritrea, we were looking at 3 decades of dryness and below-normal rains in an already dry region, where the Sahara Desert had been slowly spreading southward over that same time period. Even so, good saturating rains came quickly after our first operations, and most every other operation thereafter. And the rains in Eritrea were widespread and soaking, lasting all day into the evening, of a kind that older residents confirmed they had not seen since childhood." as compared to 15 days after operations. which rose by an approximate 50%. and no work occurred in 1996 during a temporary cessation of operations. 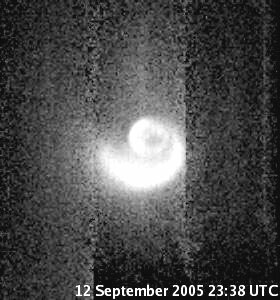 Pulse of the Planet, 5:183-211, 2002. This project would have continued, DeMeo believes, had not the new border war develop in 1998. The Asmara International Airport was bombed by Ethiopian jets, and there was a massive exodus of Europeans and Americans. "We continued with the work into 1999, but the war was heating up, funding was no longer possible, and it became impossible to continue working. Nevertheless, some years later, we heard of even more remarkable results from our work." DeMeo showed satellite pictures of the Sahara Desert near Aswan, Egypt, along the Nile River. There, in the open desert, were four giant new lakes, formed from the overflow of Lake Nasser along the Nile River. Lake Nasser, which was created by the impoundment of Nile River water behind the Aswan High Dam, filled to overflowing during the years of the cloudbusting project in Eritrea, for the first time since the Dam’s construction in the 1960s. "I call this an ’unbelievable result’, because I still have difficulties to believe it myself -- but the evidence is there. Our project in Eritrea stimulated excellent above-normal rains across not only Eritrea, but also across many parts of neighboring Sudan and Ethiopia. In fact, the entire eastern Sahel zone benefited from our work. This same area is also the catchment basin for the Nile River, and the downstream effects of this increased rainfall were most evident far downstream in Egypt. 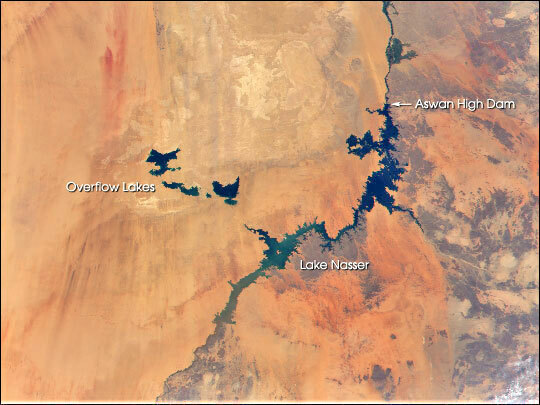 Lake Nasser, behind the Aswan Dam, filled fairly quickly after our work in 1994, with overflows of Lake Nasser starting in 1998, and forming the giant new lakes which could be seen on satellite images by the year 2000." 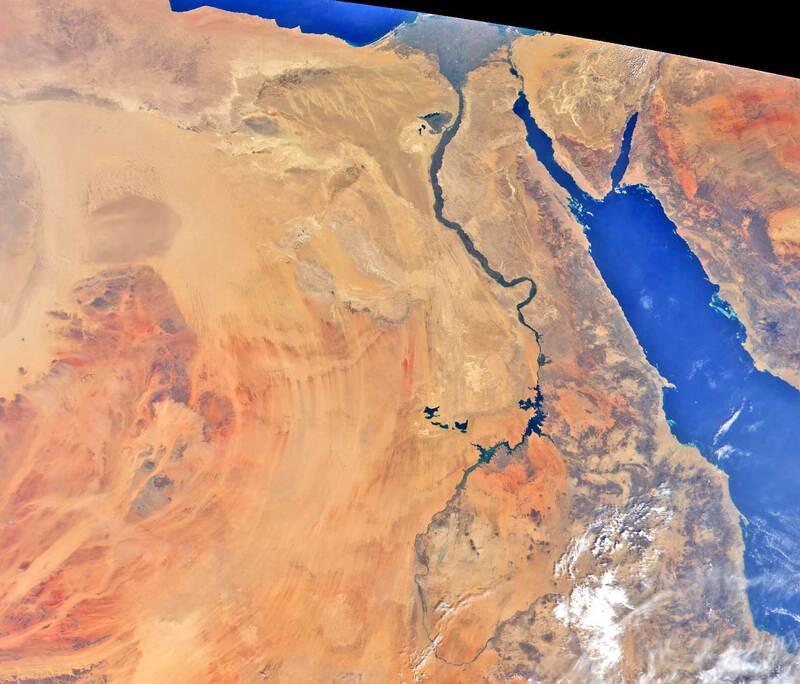 Figure 7: Satellite image of the Nile River around Lake Nasser and the Aswan High Dam, Egypt. slowly filled Lake Nasser to capacity, for the first time in its 35-year history. where four giant overflow lakes were created for the first time since the Sahara Wet Phase of c.5000 BCE. Those four new lakes are now being exploited for agricultural production by the Egyptian government, under their "New Valley" program. Several of the lakes are so large one cannot see the other side of the shore, the largest covering an area of 700 square kilometers. Their combined capacity is roughly at 700 billion cubic feet of water. "Nothing like this has been seen in the Sahara for 6000 years! It is an incredible support for Reich’s original findings, and supports his vision from the 1950s, that the deserts of the world could be greened with the cloudbuster. He wrote about this possibility when I was only a child, and I feel humbled and privileged to have done the work which provided factual support for his ideas." He has additionally been invited to present on his work to the Namibian Scientific Society, as well as at various European universities, where the name of Wilhelm Reich attracts much positive interest. DeMeo was less optimistic about the situation in the USA. "Old prejudices die slowly, and there are too many American scientist who bet their reputations that Reich was wrong. The same thing was said about the Wright brothers, Goddard’s rocket, and a whole long list of visionary inventors, I would point out. The critics were wrong about Reich, for sure, but those same prejudiced people still hold the keys to power and research funding in the USA, and they are not going to change their minds, no matter what the evidence. Max Planck once remarked that ’Science progresses, funeral by funeral’, and that unfortunately describes the situation in the USA." "We have a proposal to set up several cloudbuster stations across the Western states, to bring good winter rains and mountain snowpack across the Colorado River Basin region, which would relieve the pressures upon water resources to farmers, cities, and for natural ecosystems alike. What is needed is some wealthy individual or a private foundation concerned about these various drought situations to step in and provide the needed funding. Government institutions could do it also, and sometimes they can move quickly on such matters, but this is only possible when the top people have the courage to act, as we saw in Israel and Eritrea. More typically, elected leaders and officials are overly cautious, even timid creatures, moving much more slowly than a drought or wildfire does. I am always forced to ask, how many years, and how many catastrophes will have to occur, before the world of science and government takes this work seriously? How big do the disasters and tragedies have to become?" DeMeo provides a shocking example of the consequences of academic and governmental lethargy. "I tried to convince the Governors of two states, Arizona and Colorado, about the potentials of cloudbusting to end drought and bring rains this last summer, 2002, when their states were burning up from all the wildfires -- you will remember that terrible situation which cost billions of dollars, burned down numerous homes and entire forests, and claimed dozens of lives. Of course, I could not speak with those Governors directly, but their senior aides and secretaries were contacted. In the case of Arizona, a well-known professional friend of mine made the contact with the Governor’s aide, who was alerted to a forthcoming express-mail package of information and documentation, with a cover letter outlining a simple proposal to bring our equipment into the fire areas and get to work, basically for expenses and some logistical assistance. However, only silence followed afterward. They did not even have the courtesy to write or call back, and I know my package of information got into their hands. And so, the fires raged on until winter rains finally developed. I estimate about half of the fire damage last summer could have been averted, if they had taken my proposal seriously. I think, in the USA, the nasty rumors about Reich have done a tremendous damage, but this is no excuse, because the scientific professionals and politicians have a responsibility to examine such proposals in a more open and serious manner. You know, the wildland firefighters have a joke they tell: ’How does the US Forest Service fight a wildfire? They pour money on it until it rains!’ Well, that’s really not a funny joke, but it carries an element of truth. Most big wildfires are put out by the rains, and are only confined, with luck, by all the hard and difficult work of the firefighters. My work demonstrates that Reich was entirely correct in his assertions, and with a cautious application of this methodology, we can do more than just simply ’wait for rain’, but there’s got to be some recognition of the possibilities by responsible public officials, and some open funding and assistance, before the full potentials and benefits of this discovery will be realized." Dr. James DeMeo’s institute, the Orgone Biophysical Research Lab, is a non-profit science research and educational foundation, set up for tax-deductible donations. * "OROP Arizona 1989: A Cloudbusting Experiment To Bring Rains in the Desert Southwest"
This paper documents a 200% "rainfall doubling" effect over a very large area of the Southwestern desert regions of the USA, following 5 cloudbusting operations undertaken on pre-selected dates in 1989. * "OROP Israel 1991-1992: A Cloudbusting Experiment to Restore Wintertime Rains to Israel and the Eastern Mediterranean During an Extended Period of Drought"
This paper documents a the dramatic ending of drought conditions in Israel, with record-breaking rains following cloudbuster work over a 10-day period at the start of the natural rainy season. Reservoirs across the region were filled to overflowing. * "Cloudbusting: Growing Evidence for a New Method of Ending Drought and Greening Deserts"
This paper summarizes DeMeo’s work into the early 1990s, and also gives some brief theoretical discussion. Preliminary Analysis of Changes in Kansas Weather Coincidental to Experimental Operations with a Reich Cloudbuster, James DeMeo, M.A. Thesis, Univ. of Kansas, Geography-Meteorology Dept., Univ. Microfilms International, Ann Arbor, Michigan, 1979. (High quality xerographic edition available -- UMI version not recommended due to poor quality); Chapter 1 reprinted in Int. Journal of Life Energy, 2(2):35-48, 1980, and in Planetary Assn. for Clean Energy Newsletter, 2(2):6-8, 1980. Abstract of work in Masters Abstracts, 18(1), 1980 (below). "Field Experiments with the Reich Cloudbuster: 1977-1983", Journal of Orgonomy, 19(1):57-79, 1985; Greek translation in the Hellenic Orgonomic Association Journal, Thessaloniki, 1990. Contained in the DeMeo Reprint Package. ...with R. Morris: "CORE Progress Report #14: Possible Slowing and Warming of an Arctic Air Mass through Cloudbusting", Journal of Orgonomy, 20(1):120-125, 1986. Contained in the DeMeo Reprint Package. ...with R. Morris: "CORE Progress Report #15: Breaking the 1986 Drought in the Eastern U.S., Phase 3: A Cloudbusting Expedition Into the Southeastern Drought Zone", Journal of Orgonomy, 21(1):27-41, 1987; Greek translation, Hellenic Orgonomic Association Journal, 2:30-46, 1988. ...with R. Morris: "Preliminary Report on a Cloudbusting Experiment in the Southeastern Drought Zone, August 1986", Southeastern Drought Symposium Proceedings, March 4-5, 1987, South Carolina State Climatology Office Publication G-30, Columbia, SC, 1987. Contained in the DeMeo Reprint Package. "Reduction of Rainwater Acidity Following the End of the 1986 Drought: An Effect of Cloudbusting? ", Journal of Orgonomy, 21(2):249-251, 1987. Contained in the DeMeo Reprint Package. "Field Experiments with the Reich Cloudbuster: Positive Evidence for a New Technique to Lessen Atmospheric Stagnation and Bring Rains in Droughty or Arid Atmospheres", Presented at the Annual Meeting of the Association for Arid Lands Studies, April 1987, Western Social Science Association, El Paso, Texas, see Abstracts of Papers, p.6. "A Dynamic Biological-Atmospheric-Cosmic Energy Continuum: Some Old and New Evidence", Presented at the 11th International Congress of Biometeorology, International Society for Biometeorology, Purdue University, September, 1987, Abstracts, p.43. "A Dynamic Biological-Atmospheric-Cosmic Energy Continuum: Some Old and New Evidence", Geo-Cosmic Relations: The Earth and its Macro-Environment, Proceedings, First International Congress on Geo-Cosmic Relations, 19-22 April 1989, Amsterdam, Netherlands, G.J.M. Tomassen, et al, Editors, PUDOC Science Publishers, Wageningen, 1989. "The Orgone Energy Continuum: Some Old and New Evidence", Pulse of the Planet, 1(2):3-8, 1989; German translation "Alte und neue Beweise fur das Orgon Energie Kontinuum", Lebensenergie, 2:13-20, 1991. "Cloudbusting, A New Approach to Drought", Pulse of the Planet, 1(1):1-3, 1989. "OROP Arizona 1989: A Cloudbusting Experiment to Bring Rains in the Desert Southwest", Pulse of the Planet, 3:82-92, 1991; also published as a Special Report, Orgone Biophysical Research Laboratory, 1991. "Research Progress Report: Desert-Greening Program, CORE Operations in the Western USA, CORE Research and Field Operations Overseas: Greece 1990, Germany 1989-1990 Orgonomisches Projekt Waldheilung, Core Breakthrough in California Rains, March 1991, Cloudbuster Icarus", Pulse of the Planet, 3:110-116, 1991. "Research Reports and Observations: Orgonomic Project Waldheilung 1989 - 1993, OROP Namibia 1992-1993, Cloudbusting is Not ’Weather Modification’, Healing Lakes with Life Energy? ", Pulse of the Planet 4:114-116, 1993. "Weather Anomalies and Nuclear Testing: The Oakland Wildfires of October 1991, Report on Nuclear Accident at Tomsk, Russia, 6 April 1993", Pulse of the Planet 4:117-120, 1993. "Desert-Greening Cloudbusting Experiments in Israel, Namibia and the Horn of Africa: 1991-1994," Presented to the Annual Meeting of the Association of Arid Lands Studies, Western Social Science Association, Oakland, California, Session on "Climate, Climatic Change and Environmental Quality", April 1995, Abstracts of Papers, p.21. "Global Desert Haze/Dust Transport: An Interconnecting Common Denominator for Deserts, Droughts and El Niño? ", Presented to the Annual Meeting of the Association of Arid Lands Studies, Western Social Science Association, Oakland, California, Session on "Climate, Climatic Change and Environmental Quality", April 1995, Abstracts of Papers, p.21. "Cloudbusting: Growing Evidence for a New Method of Ending Drought and Greening Deserts", AIBC Newsletter, American Institute of Biomedical Climatology, Sept. 1996, #20, p.1-4. "Wilhelm Reich’s Atmospheric Research - Empirical Confirmations", Society for Scientific Exploration annual meeting, La Jolla, California, June 2001, Abstract in The Explorer: Newsletter of the SSE, Vol.17, Winter-Spring-Summer 2001, p.8. "OROP Eritrea: A 5-Year Desert Greening Experiment in the East African Sahara-Sahel", Pulse of the Planet, 5:183-211, 2002. "Origin of the Tropic Easterles: An Orgone-Energetic Perspective", Pulse of the Planet, 5:212-218, 2002.